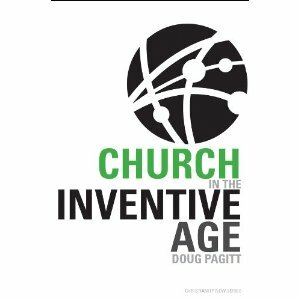 Church in the Inventive Age, by Doug Pagitt, Sparkhouse Press, 2010, 114 pp. A few months ago, I wrote that Doug Pagitt’s book A Christianity Worth Believing was the book I had been looking for to help people facing a spiritual crisis over theological issues. Church in the Inventive Age is the book to recommend for people facing a church crisis over a changing culture. 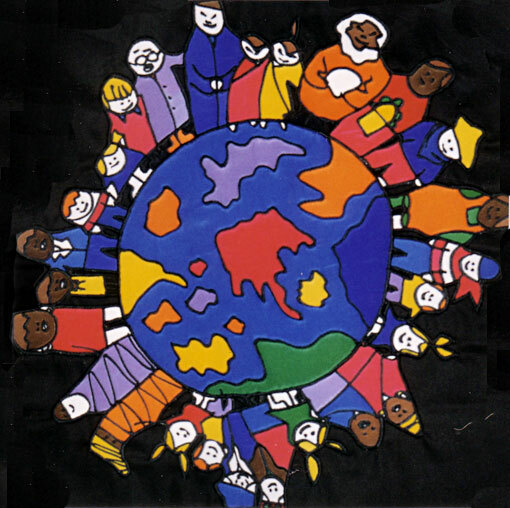 Pagitt argues we are now living in the Inventive Age, “one in which inclusion, participation, collaboration and beauty are essential values.” (30) People are yearning for meaning, for spiritual experiences, for community. Pagitt spends the rest of the book outlining the contours of this new era, and how the church might change and respond. 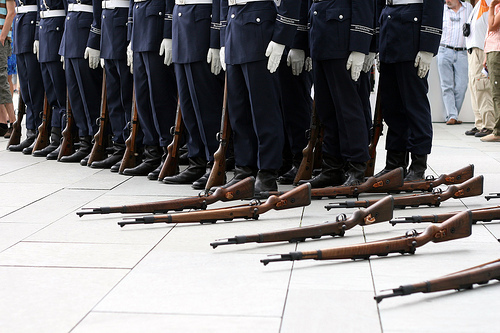 What might churches be like in the Inventive Age? He offers multiple approaches, for churches that can be for the Inventive Age (churches that are both traditional and vital who want to welcome the new), with the Inventive Age (a “church-within-a-church” that speaks to the Inventive Age) and as the Inventive Age (creating completely new ways of being/doing church). Pagitt announces in bold print in the opening chapter, “I’m going to throw out big ideas and move fast.” (2) That’s exactly what he does—and it’s what makes the book so handy. This book is a perfect starting place for anyone interested in exploring new ideas of church for the changing culture. The design of the book itself invites a fast-paced read, with multiple pull quotes, bold headlines and logos to guide you along the basic points. It would make an excellent book for discussion with a church leadership board, visioning team, adult class or clergy group. I have read many books on similar topics, but they are usually loaded with statistics, historical analysis or a tone of desperation. Pagitt not only portrays the Inventive Age and the church’s role in it in ways that are simple and easy to grasp, he does it with a glee and gusto that are contagious. It leaves me excited to launch into this new era, whether my church is “for,” “with,” or “as” the Inventive Age. Spend two hours with this book, and you’ll not only be able to explain the Inventive Age, you will get excited about becoming the church in it. The Birth of Venus, by Sarah Dunant, Random House, 2003, 403 pp. After reading Sacred Hearts, I was eager to read more from Sarah Dunant. 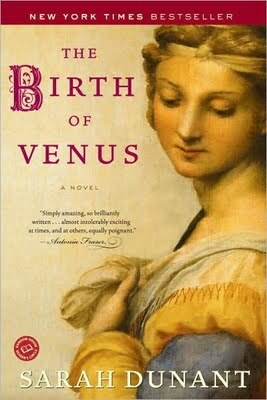 Thanks to Juniper, I had a chance to read her most popular novel The Birth of Venus next. The Birth of Venus is set in the late 15th century in the city of Florence, during the unraveling of the di Medici rule. The book starts with a prologue that details the death of an elderly nun, a death which unexpectedly contains elements of mystery. 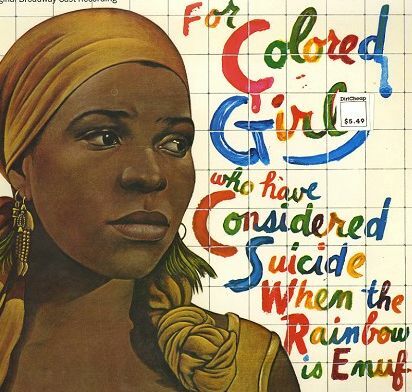 The novel then proceeds from the time that nun was 14 years old, and tells the story of her life, which was full of passion, sexual exploration, art, history, violence, and more. In other words, not what you’d expect out of an elderly nun. I enjoyed the book, but it was more beach reading than substance or lasting depth. Dunant is a great storyteller, and her characters, historical research and ability to construct entire worlds made The Birth of Venus a really fun read. Her prose is solid and evocative, but it does not arrest you, and it’s not the kind of book I felt compelled to slow down and savor. It’s a good story, and you want to just keep turning pages. 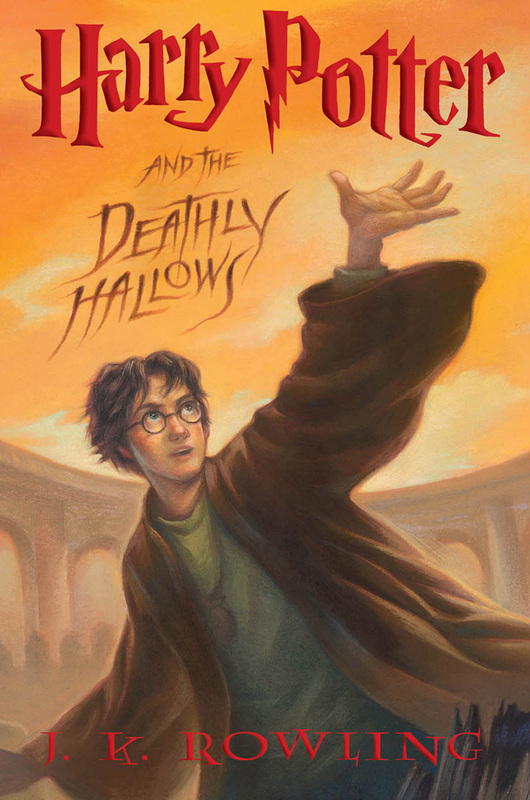 I stayed up until 2:00 a.m on a Wednesday just to get to the end. In the end, I think I enjoyed Sacred Hearts much more, because I was more intrigued by the setting, exclusively in the world of women inside the convent. The Birth of Venus was a more traditional historical novel, but it still centered on a smart, independent, creative woman trying to make a meaningful life in a time and place that does not accommodate women’s intellect or passion. I love those kinds of stories, and I had a good time reading this one. I’ll be looking for more from Sarah Dunant next time I get an escapist urge to immerse myself in a novel.